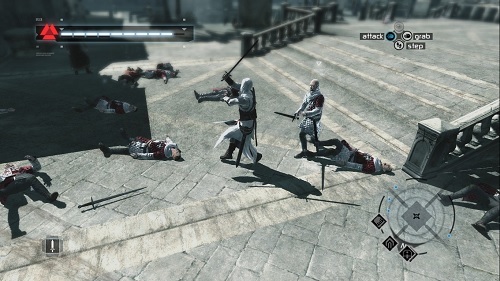 Assassin’s Creed is the first game in the very popular series of stealth focused open world adventures. The game gave birth to the popular Assassin’s Creed series and launched in 2007. The original Assassin’s Creed takes place in the Holy Land during the time of the Crusades (approximately 1190s) and follows the battle between the Knights Templar and a secret group of assassins. Both of these factions are fighting for control of an important ancient artefact known only as the Piece of Eden. Players aren’t actually in involved in the Crusades directly though. Players are just a simple bartender known as Desmond Mikes who is kidnapped for the Animus experiment which has the ability to replay memories from your DNA. This allows you to jump into the memories of Altair, one of the assassins that has been tasked with assassinations to regain his previous high rank in the society. These assassinations take place across 3 different cities and players can choose which order to attempt them in. Each assassination requires careful recon missions to be completed first for success which can be directly related to the target or on behalf of other parties in exchange for information. 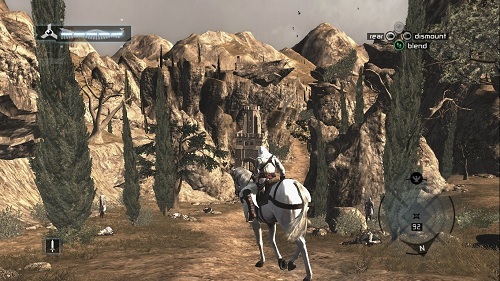 Players also have the option to take on a wide variety of non-related side missions in the open world. As the game is focused on stealth players will often focus on concealing their presence by performing actions that don’t draw a lot of attention. If players do attract unwanted attention from guards by killing, running or climbing buildings then they can rely on their sword skills to stay alive. Assassin’s Creed has grown into a well-known action adventure series and if you are wondering what all the fuss is about then there is no better option than returning to the origins of this highly successful and enjoyable series. The origins of a highly successful and popular series. Travel to ancient cities to complete assassinations. Focus on stealth but still plenty of action. Plenty of open world to explore and the ability to climb buildings. Available on PC, Xbox 360 and PS3.